Permits have been filed for a nine-story, mixed-use commercial building at 23-20 Jackson Avenue in Long Island City, Queens. The new structure will dedicate 65,000 square feet of newly built space toward residential units, a hotel, and dormitory spaces. The entire building itself is set to yield 82,851 square feet. It will be designed by KSQ Architects. William Dailey Building & Zoning is listed as the filing representative while the Vorea Group is owner of the property. The site is located at the corner of Jackson Avenue and Pearson Street and sits not too far from the Court Square subway station on the 7 train. A preliminary rendering for the site was released in 2016. The upcoming building will have 72 residential units, each averaging around 902 square feet, most likely making them rentals. The primary structural system will be reinforced concrete and rise 100 feet when topped out. The existing lot measures 10,000 square feet and will take up the entire space. 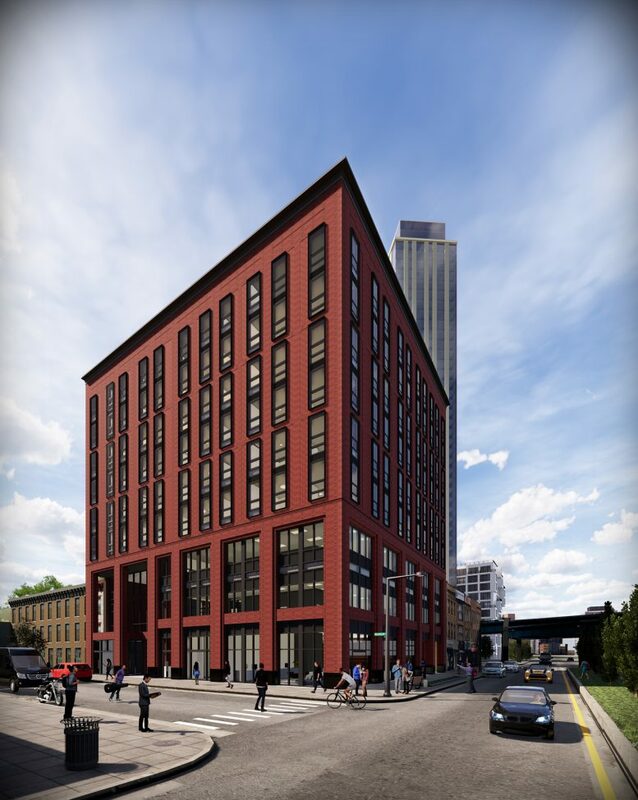 A completion date for 23-20 Jackson Avenue has not been announced yet. 4 Comments on "Permits Filed for Mixed-Use Commercial Building at 23-20 Jackson Avenue in Long Island City, Queens"
I am mark and looking for open unique style Sushi Bar if yes pls 👍everyone I am looking for vote how many people agree with this thx.